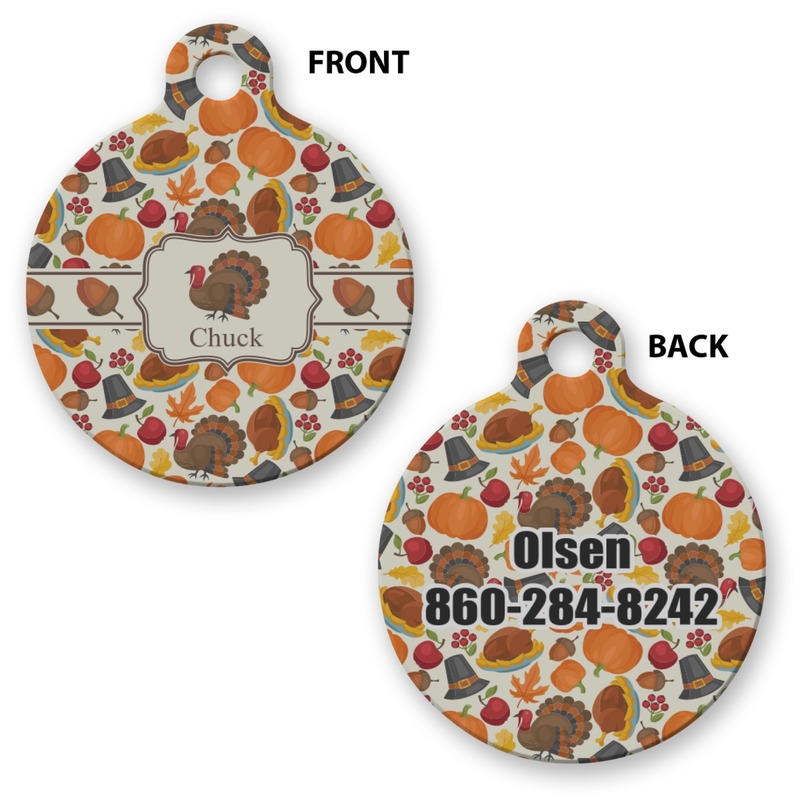 Every cat or dog needs a tag for their collar. Why not get them something fun that will catch the eye of your friends (and maybe their's too!). This sturdy aluminum tag is approximately 1.25" x 1.5" and is in the shape of a circle. 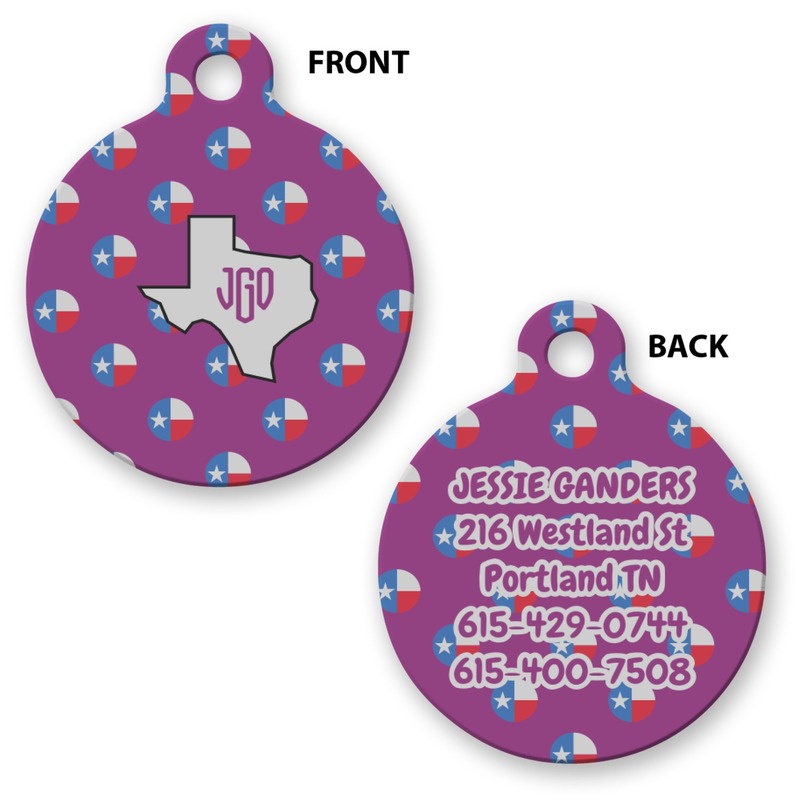 It is printed on both sides with your pet's name on the front and your address or phone number printed on the back. 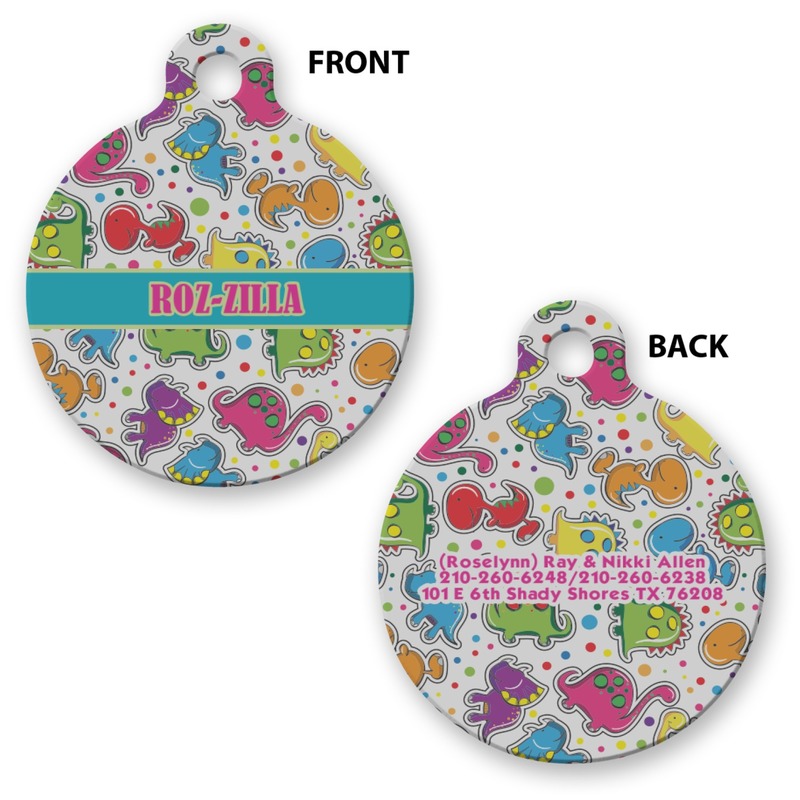 The tag comes with a thick metal clasp to attach to their collar. Have a little fun when you pick out the pattern and font! Pick something that will fit either your personality or that of your furry friend! If you need any help in our design center, just give us a call! We will assist you in any way we possibly can. My husband ordered this for our new pup and he is totally thrilled. Quality product and fast shipping. We'll be back for more! Thank you. All in all we are happy with the product we received. The only down size is the small print on the back is very small. Just readable. With that said, less info spaced out would probably be best. So much cuter than the machines in stores. I put our name and address, phone number on the back. The only thing I would suggest is making that font bigger. I made it to small and it is very hard to read.